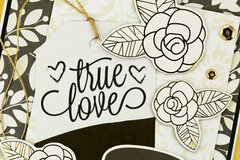 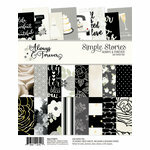 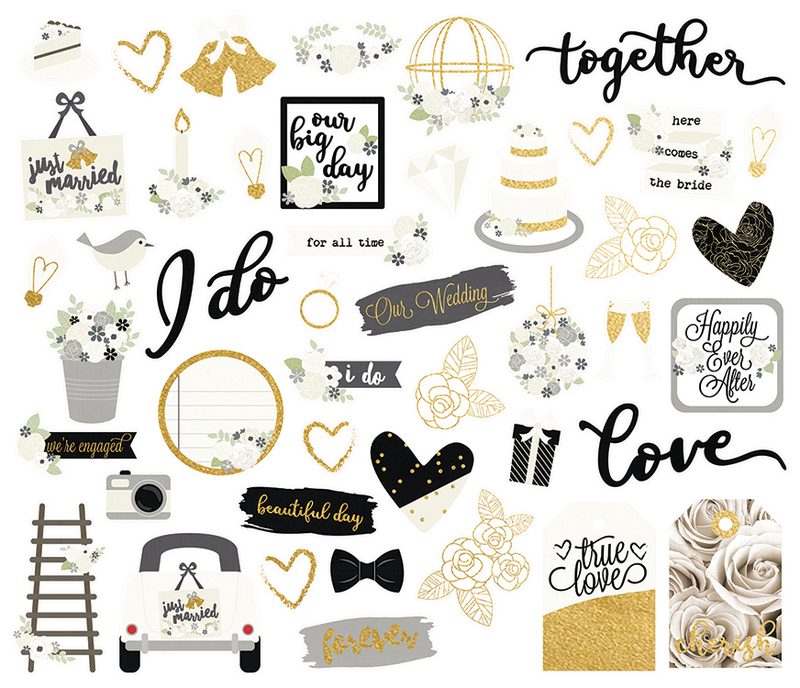 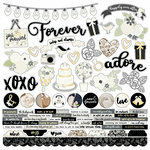 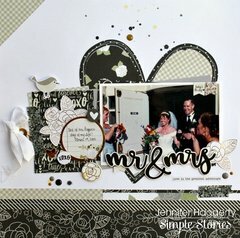 Accent your wedding pages with the Always and Forever Collection Bits and Pieces with Foil Accents by Simple Stories. 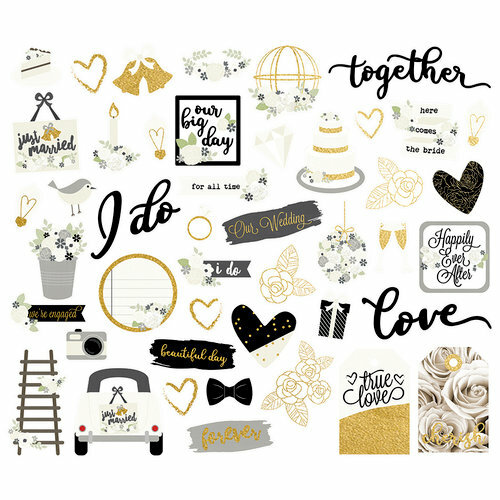 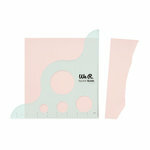 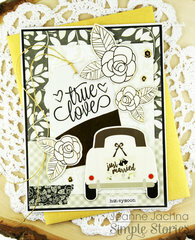 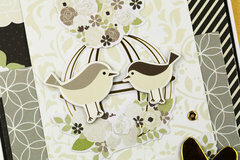 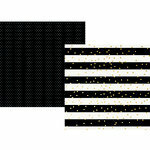 Included in the package are 46 die cut cardstock pieces; some feature gold foil accents. 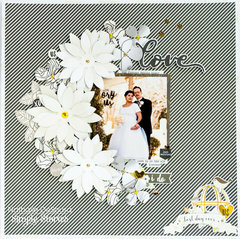 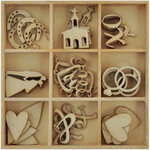 You will love the images of the camera, bow tie, wedding cake, candle and more that are include in the package.